The RSPB’s reserve at Arne in Dorset recently requested the use of my wetland wildlife photos for their new seasonal interpretation panels. They also commissioned a stitched panoramic landscape image to highlight landmarks visible from their stunning observation point overlooking Poole Harbour. Featured above are the southern hawker dragonfly, osprey, wasp spider, raft spider and marsh harrier, all of which can be found on the Arne reserve at different times of the year. Well worth a visit. The Arne peninsula in Dorset juts out into Poole Harbour, separating the Wareham channel from the main body of water. Right out at the tip, concealed by the remains of ancient oak woodland, lies a former ball clay pit. The extraction company Imerys finished mining the deposit in 2008, and since 2010 have been restoring the area as part of their mitigation agreement, before transfering ownership of the site to the RSPB, who manage the surrounding nature reserve at Arne. I was asked to document this reclamation process on behalf of the RSPB, in particular the flooding of the claypit basin with water from the harbour to create a saline lagoon habitat for wading birds and other species. With mining activities ended the pit was re-profiled with heavy earth-moving equipment, and a layer of topsoil deposited above the expected final water level in the summer of 2011. Next a channel was cut through the embankment to join the claypit with the harbour at the south end of the site. On especially high tides the water from the harbour would flood this channel to gradually fill the lagoon. This process was expected to take many months and it was decided to document the process with a timelapse camera. We surveyed the best location for the camera – somewhere with a wide view of the pit, a glimpse of the harbour in the background, a small island in the middle ground and some vegetation in the foreground to provide varied visual interest. Unfortunately this necessitated pointing the camera due south, so we also calculated the position and angle of the sun in future months to try to minimise its dazzling effect on the camera’s lens and sensor. The pit itself is off-limits, but there is public access to the surrounding area and it is too remote to monitor. Exposure to the elements over such a long period was also a consideration, so an expensive DSLR setup was not a practical option, and a relatively cheap-and-cheerful alternative was sourced. 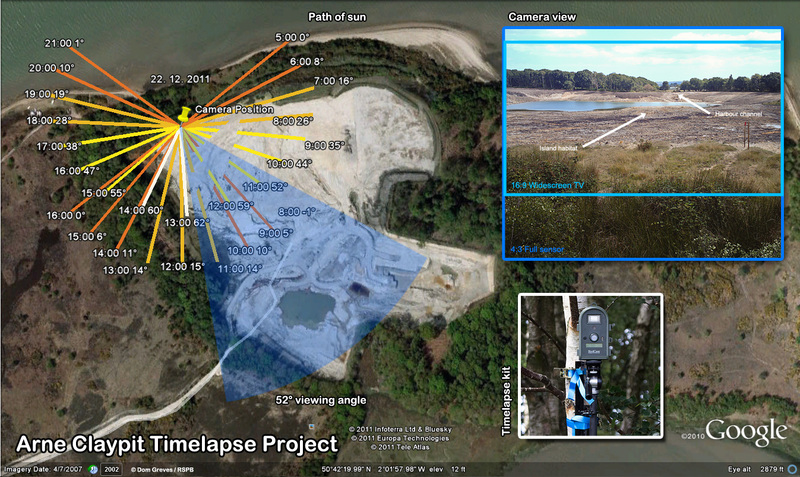 The pit filled much more rapidly than the engineers had predicted and in April of the following year, after only 7 months, the rising water had achieved its final level. The island habitat is already frequented by shelducks, and sika deer regularly visit its shores. It will take longer for the waters to settle and for other species to establish themselves. It’s hoped that the regular interchange of water with the harbour will prevent the process of eutrophication, which would otherwise make the lagoon inhospitable. The suspension of clay particles in the water can be a serious problem in this respect. Whether this industrially exploited area becomes the wildlife oasis hoped for, only time will tell. With thanks to Mark, Rob, Damon, James and Em at RSPB Arne. Talbot Heath lies largely unnoticed on the outskirts of Poole in Dorset. Once upon a time it formed a seamless whole with the famous expanse of heathland familiar to Thomas Hardy and his contemporaries. Nowadays it’s sliced apart by bypass and railway to north and south, and nibbled away at by encroaching residential developments to the east and west. The sea of heathland has become an island here. Most of the locals clearly love this precious green (and brown) open space, but its close proximity to human habitation regularly puts the heathland flora and fauna at risk from fire and other degradations. The effects of arson in particular, but also the predations of local cats, litter and path erosion present a considerable threat to this Ramsar and SSSI designated site. The local borough council in their wisdom recently approved a planning application to extend a housing development in the north, onto farmland which currently serves as a buffer between urban and heathland areas. This decision was controversial for several reasons, but especially because it appeared to override a government directive which prevented new developments within 400m of heathland sites. The RSPB and other conservation bodies became worried that this development might set a dangerous precedent and the decision eventually went to a Public Inquiry. As part of their submission to the Inquiry I was asked to document the site photographically for the RSPB and their partners at Natural England. Following 3 visits to the site in late spring 2011 I delivered a library of 300+ images, depicting the Talbot Heath landscape, its flora & fauna, human visitors, and urban effects. Update: In February 2012 the proposed development was refused permission by the Secretary of State for Communities and Local Government. Fanned by strong winds, the fire spread rapidly to become the largest heathland blaze in Dorset for decades. Upton Heath was home to some of the UK’s rarest wild creatures, including the smooth snake, sand lizard and dartford warbler. More images of the fire’s aftermath on my photographic site. 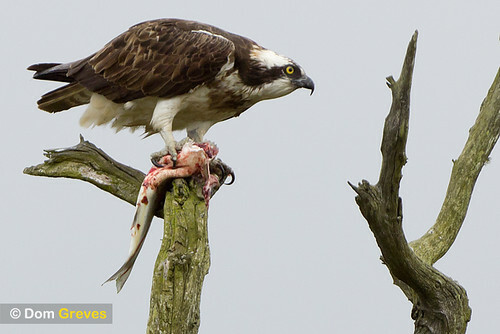 Osprey with fish. Arne, Dorset. 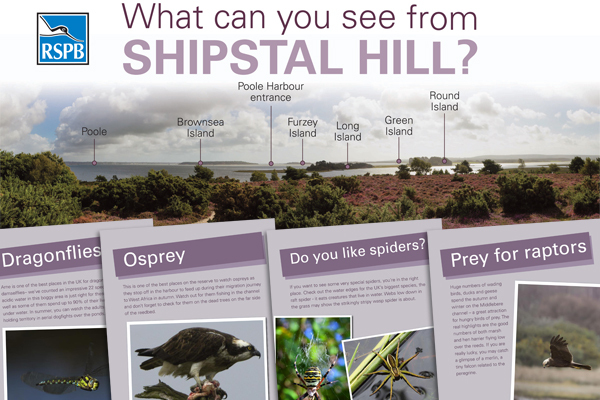 The RSPB’s reserve at Arne lies on the shores of Poole Harbour in Dorset. The ospreys are regular visitors on their migration south to Africa for the winter. Symbol of the RSPB in the UK, the avocet was extinct as a breeding species by the mid 19th century, only returning to these shores during the second world war after the flooding of East Anglian marshes for coastal defence restored ideal wetland territory for the birds. Since then the reintroduction and careful managment of this scarce habitat elsewhere in the UK has proved to be a major conservation success story. 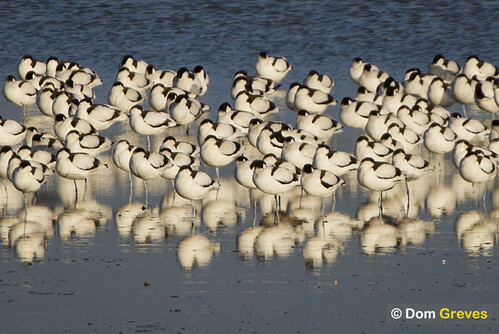 Hundreds of avocets overwinter on the south coast of England in Poole Harbour – the second-largest natural harbour in the world. 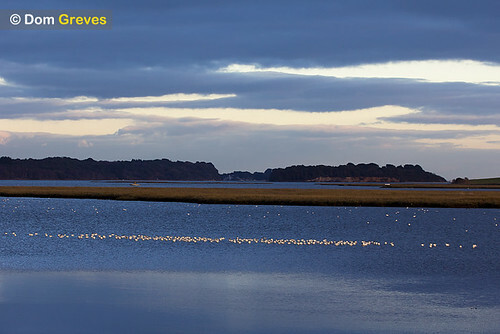 In autumn they can often be found huddled together in the lagoon on Brownsea Island close to the busy shipping lanes at the harbour entrance. As winter draws on the birds seem to disperse, favouring the more sheltered harbour channels. The Middlebere channel to the south of the Arne peninsula is a particularly popular location. Unfortunately the birds moved off before I could set up my tripod for video but one of the RSPB’s wardens kindly pointed out a sheltered spot near the shore where I could get a closer view of their new location.